Books arrived daily by mail, FedEx, or by hand on the doorstep – a half-dozen was not unusual. At social functions, airports, readings, while he was walking to dinner along the waterfront of Provincetown, or riding the A Train to Manhattan from Brooklyn, people pressed books into his hands. 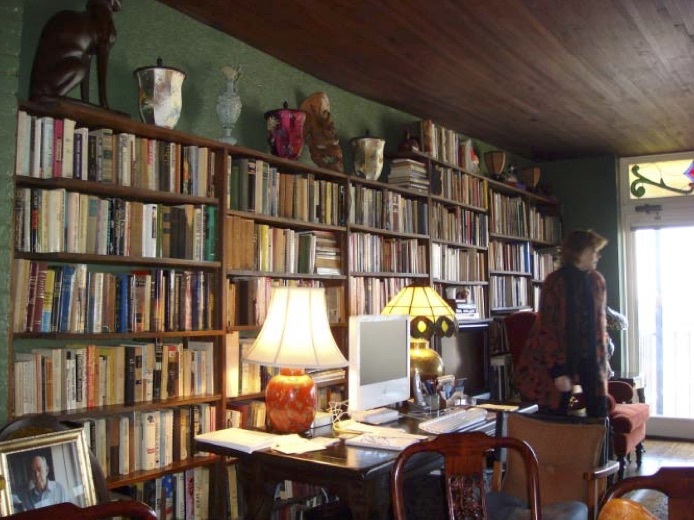 Not that Norman Mailer was short of books; his library, at four different locations, amounted to more than 7,000 volumes. His last wife, Norris Church, referred to them as Kudzu, the pernicious creeping vine that covers large swathes of the American South. As fast as she gave them away, they reappeared on every flat surface in their two homes. Norman, she said, spent $1,000 a month on books, and received a large number gratis from writers in search of a recommendation.